Ever since returning from an overly donut-indulgent trip to Denver, I’ve had nothing but donuts on the brain. I keep trying to find an excuse to go to Blair’s in Los Feliz to treat myself to some deliciously overpriced donuts for dessert. I’ve been trying to find the time to make the trek to Culver City to try the much talked-about glazed donuts and jam from Waterloo and City. I’ve even tried to convince R to drive to Glendora to get me some donuts from the famous Donut Man. I hear SK Donuts on West 3rd street is pretty amazing too. Or how about Bob’s Donuts in the Farmer’s Market? You can see how much I’ve been thinking about this and yet I haven’t been able to make it out to any of these places to satisfy my ever-growing donut desires. 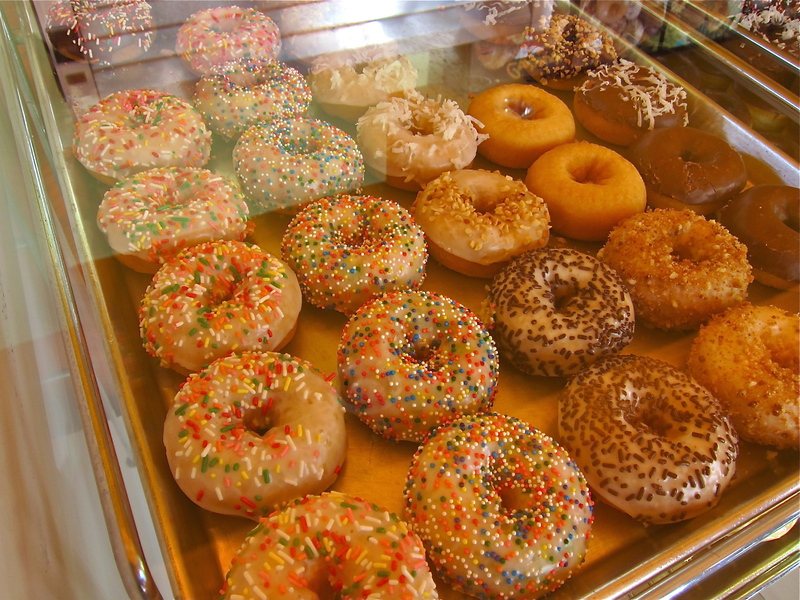 Then by chance, a conversation on Twitter with @CremeCaramelLA provided me with the perfect solution – Daily Donuts. 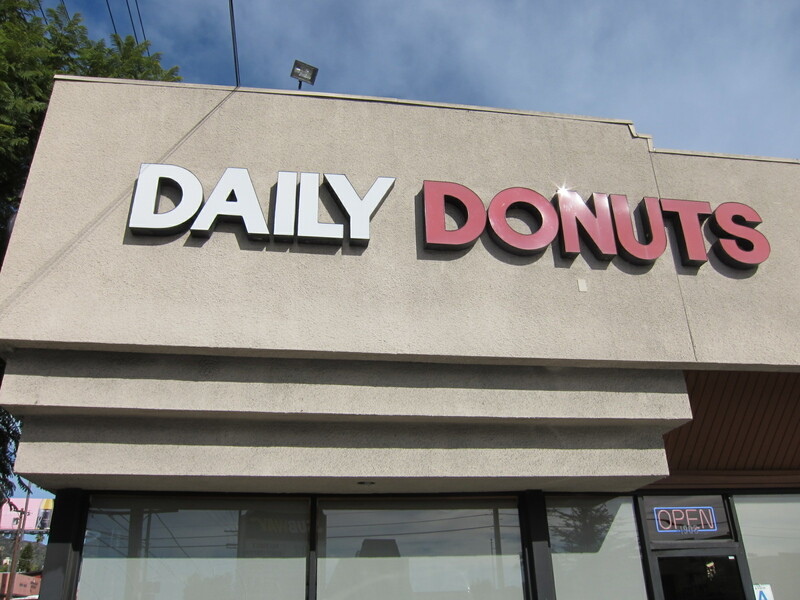 Daily Donuts provides just that – the perfect daily donut. Appearance-wise this is your standard LA strip mall donut joint. Bare bones, minimal design and glass cases full of old fashioned cake donuts, glazed donuts, maple bars and the like. I have to admit I was skeptical at first. I have high standards for my donuts. I know a donut is a donut is a donut, but then again it isn’t. A bad donut can be dry, crumbly, cloyingly sweet and utterly unappealing. A good donut on the other hand is one of the simple pleasures in life that never fails to bring a smile to my face, and Daily Donuts offers just that kind of perfect donut. Did I mention that Daily Donuts has been about a block away from me for the last two years? I had somehow overlooked or ignored this little shop not knowing that within its doors lay row after glazed, sweet, glistening row of doughy fried confections. There are no fancy flavors or inventive creations – just the basics. I suggest sticking to the classic glazed or the glazed donut holes; both are ethereally light and doughy with a thin sweet sugar glaze that tenderly gives way with each bite. Not too sweet and not too fried, it is truly a challenge to exercise discipline and not eat an entire half dozen in one sitting. While thus far nothing has filled the hole in my heart that was left when Friterelli’s in Beverly Hills closed, Daily Donut is a great neighborhood haven, a one-stop shop for that daily dose of donuts! OH MY GOD! SHE POSTED!!! 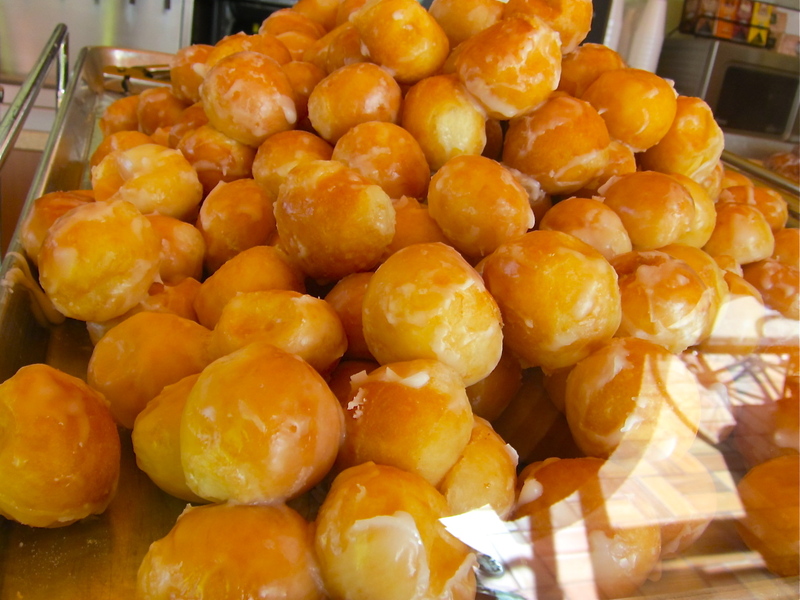 I miss Friterelli’s and Donut Man is pretty awesome, but those little Daily Donut holes are a great little fix. 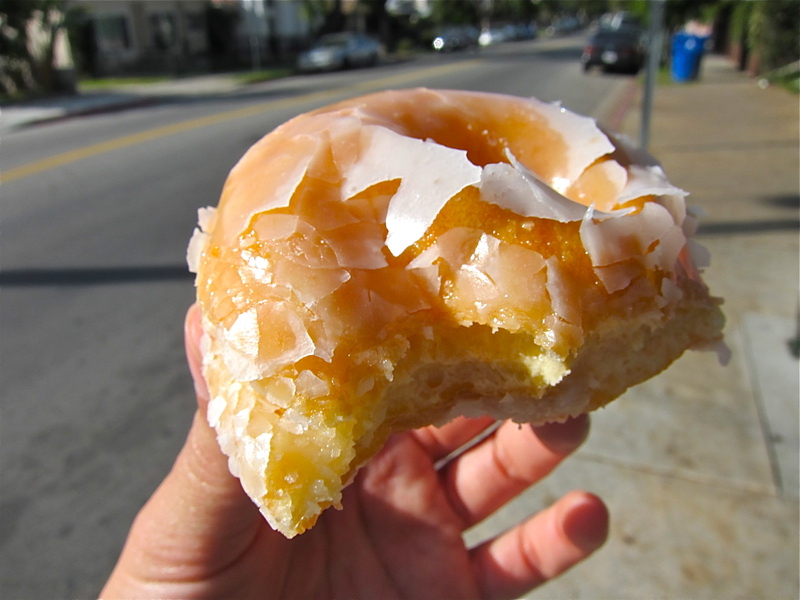 My go-to donut place is over by us in West Hollywood, Tasty Donuts on Santa Monica near Crescent Heights. It’s also a (donut)hole-in-the-wall, but they’re really really good, always fresh-tasting, never tasting heavy or like stale oil. Other people have mentioned Tasty to me for the best donuts too…it always surprises me to hear random people recommend our donut shop! mmm. those look good. I love Los Feliz! I used to love going to the Alcove when I lived in LA. Good spot! who doesn’t love donuts! thanks for sharing i would have never stopped into this shop but i definitely will next time i’m in los feliz! i just went there after reading this! i would have never given this place a second thought most hole in the wall donut shops are disgusting and stale same as buying donuts in a grocery store, but these were so good! i’m hooked! You’re officially the donut lady! oh no! i pass by daily donuts every DAY to go to scoops on heliotrope to pick up ice cream. this is going to be the END of me! but thanks for pointing it out, I never would’ve thought to go there otherwise. Those donut holes look so good! 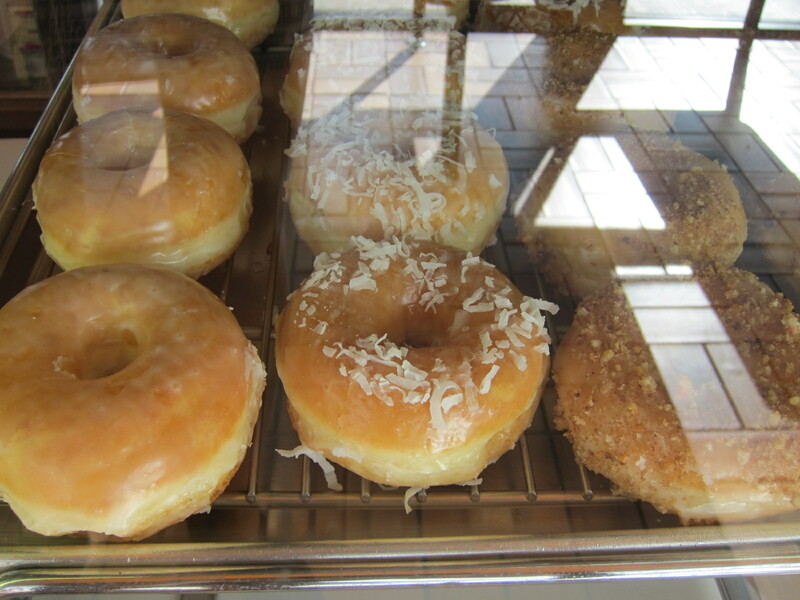 Have you tried Earl’s donuts in Chatsworth? Kristine – I’m so glad someone else remembers Friterellis miss it so much! 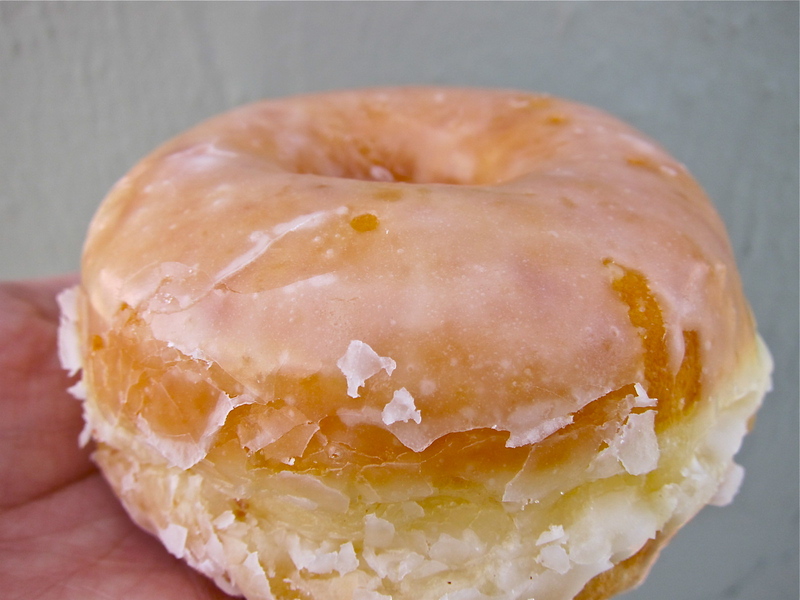 Kristin – I need to check out Tasty Donut next time i’m in the area! Steph- Alcove is walking distance from me love it! Sandra- Definitely stop by so fresh and so good! Esi – yup i accept the title! Matt- make a stop next time on your way into work you won’t regret it! Who doesn’t love a good donut?!? I wouldn’t trust a man or woman that didn’t enjoy a donut at least every once in awhile.